In todays interview I get to speak with electromagnetic fields expert, Scott Compton from EMF Warriors about how to use different EMF meters to measure EMF levels in your home or work. 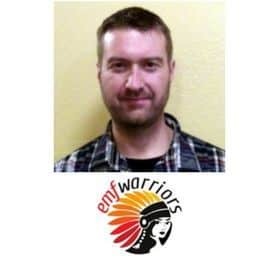 Scott, a.k.a Mr Spock, is one of the three main founding members of the EMF Awareness support group called EMF Warriors. I have spoken with Scott before on episode 2 about the concept why EMF awareness & hygiene is important to know in our modern society full of technology. Scott shares some of his top tips on how to measure EMF levels at home or work. (Best to watch this one on the Youtube video below) If you suffer electromagnetic hypersensitivity or are searching for the best EMF device to buy then listen to Scott’s advise. He helps to explain the different EMF meter devices people can buy and gives a basic overview on how best to use the different measurement meters. I also discuss with Scott the common pitfalls when trying to understand the various EMF readings from all the meters & how to make a decision on what practical EMF hygiene changes you will make from your findings. [0:20] – Introducing Scott. This is Scott’s second time on the show, if you haven’t already, click here to hear more about electromagnetic field hygiene plus nnEMF health awareness. This time Scott will tell us more about EMF devices. [2:00] – There are a tonne of electromagnetic field devices available to help us measure what is going on in our environment i.e. the EMF, the voltage, dirty electricity etc. How do we choose which one to get? [3:18] – Scott gives us tips on using our own car as an EMF device. By using the indicator & tuning the radio’s A.M. dial to either a really low or really high frequency you can listen to the changes in static and frequencies with different levels of EMF around you. How cool! [6:51] – Should someone who is brand new to EMF awareness be buying these devices and trying to test the levels in their environment? It can be overwhelming figuring out what the numbers we’re getting mean. Why getting a building biologist might make more sense. [09:30] – Understanding all of the variables is a complex issue, a building biologist can prevent mitigation strategies which actually could cause more harm. EMF Warrior Facebook group can help point us in the right direction when looking for experts in our location. [11:38] – What is inside Scott’s nut-case? Because of the visual nature of the rest of this talk, (best to watch the Youtube video of the interview) Scott will be demonstrating some of his equipment and how he uses it to measure frequencies. [12:05] – Demonstrating how we can use a simple AM/FM battery powered radio to listen out for different frequency changes in your environment. [14:52] – Scott shows us some of his other gadgets; Geiger counter, old school ‘ghost’ meter which measures magnetic fields and gives us a quick analogy on the magnetic field EMF. How many common devices create these fields and the importance of location of where we use them. [17:36] – Device brands don’t really matter, what is more important is the design of the object. How some two-pronged connectors lack the ground and therefore produce more electric fields. [18:35] – Pulling out wires from sockets when sleeping and avoiding getting pulled into electric fields. Scott talks about a study that shows electric field effects on melatonin loss. [19:59] – Discussing the effects of neighbours and living in congested areas e.g., radio frequencies from neighbours Wi-Fi routers, phone towers and other RF systems. [21:50] – Scott gives us a demonstration of his ‘ghost’ meter, testing the magnetic field around it. [23:16] – Scott explains how these gadgets can sometimes be misleading. He shows us how his meter shows 1.5 Milligauss (mG) being in the green but explains that even 1 mG is a problem in a lot of people, and has detrimental effects to our biologies especially those with sensitivities. Thousands of studies have showed that it doesn’t take much magnetic or electrical field to see biological significance. Frequency of the Hz rate and the amount of exposure also matter. [24:58] – Scott shows us his Trifield meter which measures three forms of electromagnetic radiation (there are more EMF sources! ): magnetic field, electric field and the radio microwave field. How shielding of devices is another important component of mitigation, some products are not very well shielded. [26:58] – A salt lamp example that illustrates the numerous variables we have to consider including: bad shielding, grounding, bad wiring in the home itself. How building biologists understand the complex issues that affect what goes on in the home. [29:56] – Scott tests the magnetic field created by the fan with his Trifield meter. [31:15] – Why Scott doesn’t like to use the Trifield meter to measure radio frequencies. It is not sensitive enough to pick up normal radio frequencies which can have an effect peoples’ biology. He explains how he is able to gauge the intensity of different fields using his internal sensors such as the effect it has on his tinnitus. [34:33] – How we can minimise the effect of the magnetic and electric fields by getting enough distance. Discussing power grids, and electricity dumping. [35:40] – Scott explains the benefit of a Trifield and how it would be used by a building biologist to measure hot-spots in your home when things are on. Lighting, walls, devices, computers, monitors (very important in case internal components are faulty). And the benefits of checking your home periodically. [36:50] – How the Trifield’s magnetic field sensitivity could be used to sweep for wires and fields in the walls and floors. This could be very helpful when deciding where to position certain things in your home. [37:52] – Scott shows us his Stetzerizer microsurge meter which measures certain frequencies of dirty electricity flowing through our walls by measuring the GS (Graham-Stetzer) Unit. This meter is similar to the Greenwave meter, from the company that produces the Greenwave dirty electricity filters which try to block out dirty electricity (Stetzerizer also does these filters). [38:46] – Are these filters useful? For more information on these see the first interview with Scott. There are also other videos out there that help us decide if these would benefit us or not. Scott explains how these filters work by filtering our certain frequencies of electricity that are known to be more dangerous to our biology. In the process, there is a magnetic field produced around the filter. [39:50] – Scott demonstrates how the Stetzerizer Microsurge meter works. How unplugging the computer and using the Stetzerizer filter effect the numbers we see. [41:46] – Does seeing a drop in micro-surge meter numbers when using the filter mean it’s a good idea to have the filter in that particular outlet? Scott explains the complexity behind making these decisions and the multitude of variables that need to be considered; from both within your home and outside of it. How our neighbours and even countries we live in affect our exposure. [44:28] – Certain frequencies are more detrimental to us than others. The need for science to answer these questions and define these bands furthers. Siding on the side of caution in the meantime. [45:18] – Scott talks about the Cornet meter and the difference between the Cornet 78S meter and the Cornet 88T meter models. The 78S is not a trifield, it measures the magnetic and the sensitive magnetic, but it does not measure the electrical EMF. Whereas the 88T is like the Trifield meter and measures all of it. [47:26] – Radio frequencies can be harder to get an understanding of without a good amount of experience. Understanding the physics with radio frequencies. Drawing a comparison between light and radio frequencies. [50:00] – Why a lot of people like to use this particular Cornet; its size makes it quite discreet to carry around in public and it’s easy to use. Scott gives us a quick demonstration. [51:58] – We don’t need meters to tell us that wireless wi-fi routers are a problem. Why wired routers could still be producing wireless radiofrequency. How going back to wired routers or limiting use and shutting it down as much as you can when it is not in use is not only beneficial to you but also helps your neighbours. We pick up numerous signals from our neighbours. [54:12] – How mobile phones signal affects us? A strong connection probably means you are close to a mobile phone tower. But the low bars can be worse when we are talking on our phones. Scott explains why we should avoid making calls when we have bad signal. [55:55] – Why you should keep your phone away from your head and body. 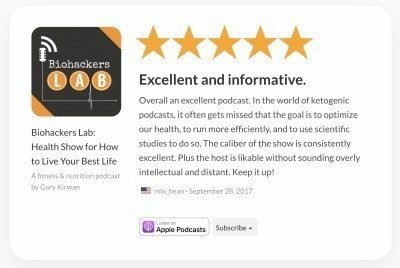 Scott mentions Dr. Mercola’s video which talks about this also. [56:41] – Scott talks about Cornet’s other modes i.e magnetic field and the sensitivity. He also demonstrates the sound mode and how we can use it to measure frequencies coming through the Cornet which can give us an idea of the EMF in our environments that might not be coming up when looking at the numbers alone. [1:01:11] – Talking about the important point of not letting yourself be consumed by fear. The intent is to provide information, it is not to invoke fear. Being reasonable about what we can do to mitigate the biggest offenders as much as possible and not letting the emotional aspects get us. [1:02:40] – Cornet meter indicates levels that they deem problematic but we have to be aware of this and not be fearful. Discussing the importance of being aware of this and personal behaviours when using certain electronics. How prolonged frequency of exposure is worse than getting an occasional hit. [1:04:57] – Implementing EMF hygiene when using electronics. Evidence shows alternating currents at higher intensities and longer frequency use is linked to health problems in the long. Scott also talks about the radio frequency waves and how they are unexpected to our body. [1:06:39] – How natural EMF from the sun and the ground can help repair and balance the body. [1:07:33] – More tools! Scott shows us his cell sensor and explains that most of the differences between these meters are the bands they measure. [1:09:11] – Scott talks about measuring voltage and shows us the multimeter he uses. There are risks when using this device and we need to be sure the outlet is properly weird before plugging the voltage meter in. Scott uses a plug tester to help him determine this. [1:10:40] – Volt-meter demonstration showing how many volts are going through Scott’s body when he touches different electronics. Are there devices that are pulling more voltage into his body? [1:14:08] – Scott recommends measuring spaces where you spend the majority of your time, like in your bed or in the office. A voltage-meter helps identify hot-spots. Explaining how wiring in the home could affect this. [1:16:28] – Reiterating how the building biologist can help guide you through the complicated process of assessing your environment and give you informed consent on what is of high importance and what isn’t. Scott illustrates this point with a laptop story. [1:18:32] – Summarising the main points: the benefits of professional assessment to help you mine through all the information and make an informed decision; the four fields we commonly test for are electric, magnetic, radio frequency and body voltage; the two useful devices when measuring these are the body voltage device and either the Cornet or Trifield. [1:20:30] – Final points. Consider lighting, don’t put the wi-fi on and don’t sleep with your head close to the smart meter. You can work with your power company to go back to analog meters. [1:21:44] – There is a long learning curve to getting a good feel for what is going on and getting comfortable with the devices. Use experts when necessary. Using common sense when using devices it can depend on how and when things are used. The possibility of other issues causing problems e.g., dirty electricity, transformers buried in the ground, electrical wires outside. Over time you will be able to spot these things. [1:23:59] – Scott explains why he likes to carry a device with him wherever he goes. [1:25:26] – We created all this in the last 150 years so why not inform ourselves. Knowing the environment you are putting yourself in. [1:26:28] – Getting the basics right such as getting your EMF hygiene right and considering how you use mobile phones etc. Easy protocol includes reducing the frequency of use of certain devices, and getting outside more to balance out your health. How it could be one of the most important things for your long-term health, maybe even more important than your food choices. [1:27:12] – For more information go to EMFwarriors.com where you can sign-up for free to read the library of research papers and watch more videos, as well as joining the Facebook group.